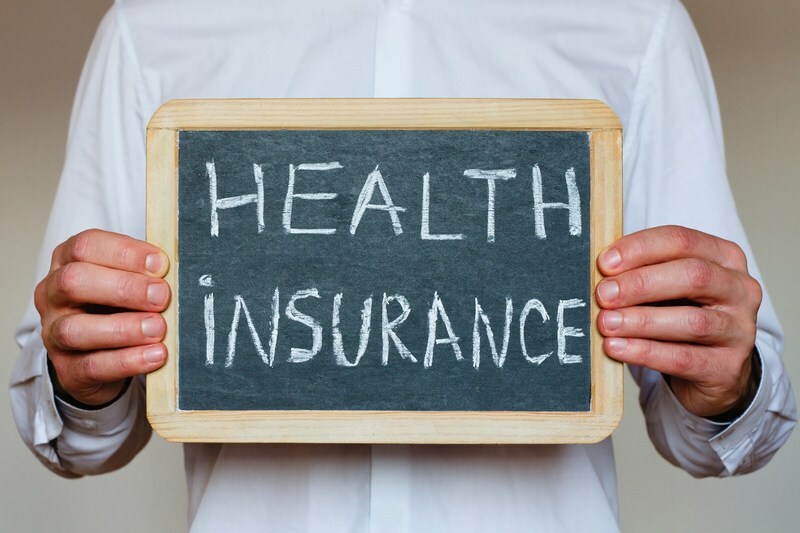 In October, President Donald Trump signed Executive Order 13813 that required the administration to expand choice and competition in the health insurance market. This included a directive to expand short-term, limited-duration plans. These plans are exempt from the costly mandates under Title I of the so-called “Affordable Care Act” and are intended to fill the gap between coverage in government-approved, or “minimum essential,” health insurance. An individual who is between employment, for example, could enroll in a short-term, limited-duration plan. In June 2016, the Obama administration issued a proposed rule reducing the maximum allowable months an individual could maintain a short-term, limited-duration plan to three months and prevented renewability. The Obama-era rule was finalized in October 2016. The Obama administration issued the rule primarily because it feared people who may otherwise purchase health insurance coverage on the ObamaCare exchanges would choose instead to buy short-term, limited-duration plans that better fit their coverage needs. According to data accessed by the Heritage Foundation, the number of short-term, limited-duration plans purchased steadily increased between 2013 and 2016 before declining in 2017. In 2016, 134,424 short-term, limited-duration policies were sold that covered more than 160,300 lives. The rule filed today reversed the Obama administration’s rule and expands short-term, limited-duration plans up to 12 months and allows renewability for up to 36 months. The expansion of such plans is not mandated and the choice to expand is fully left to carriers, in accordance with applicable state laws governing short-term, limited duration plans. Now, the rule has benefits and drawbacks that should be explored. The biggest benefit is that the expansion of short-term, limited-duration plans is that it could provide freedom from ObamaCare’s Title I regulations. These regulations are responsible for 44.5 percent to 68 percent of the health insurance premium increases under ObamaCare. These regulations include guaranteed coverage for preexisting conditions, guaranteed issue, and community rating. Some in the media are already spinning this to call short-term, limited-duration plans “skimpy” or “junk” insurance. Such pejorative labels are offensive because those who are writing stories about the rule using such terms appear to believe that the government should have the ability to dictate what is an acceptable level of coverage. Not everyone may want a health insurance plan that the government dictates is “minimum essential” coverage. The one-size-fits-all approach that ObamaCare took penalized the healthy by requiring them to buy a government-approved health insurance plan. Those who purchase short-term, limited-duration plans tend to be younger and healthier. The effect of this is known as adverse selection. When younger and healthier individuals drop off of exchange plans, it leaves those who have a higher utilization of care -- and therefore a higher cost to insure -- in the single risk pool. Because these younger and healthier individuals would no longer be in the individual market and risk pool, premiums for the individual market could rise. This would lead to higher spending for premium tax credits to lower costs for the largely older and sicker population that would remain on exchange plans. The proposed rule estimated that the spending for premium tax credits could increase by as much as $168 million annually. According to the rule, by 2028, 1.4 million people would be insured by short-term, limited duration plans. The effect of this on federal spending is expected to be approximately $200 million in 2019 and $4 billion by 2028. Overall, because the expansion of short-term, limited duration plans may lead to increased premiums, federal spending on premium tax credits could increase by $28.2 billion over the ten-year budget window. This could make a bailout of health insurance companies more likely as a means to mitigate the impact of adverse selection that will inevitably result from the expansion of short-term, limited duration plans. Sens. Lamar Alexander (R-Tenn.) and Susan Collins (R-Maine) have pushed for this for the past several months. The proposed Bipartisan Health Care Stabilization Act approximately $30.5 billion for reinsurance programs or invisible high-risk pools. Although invisible high-risk pools have worked in Alaska and Maine, funding such a reinsurance program without reforming the individual health insurance market is irresponsible. Overall, the Bipartisan Health Care Stabilization Act would increase the budget deficit by $19.1 billion, according to the Congressional Budget Office. Another drawback is the reaction in the states. Currently, three states -- New York, New Jersey, and Massachusetts -- prohibit short-term, limited duration plans. Although Vermont and Rhode Island have not prohibited these plans, none are currently offered. California, Connecticut, Indiana, Michigan, Minnesota, Nevada, and North Dakota are some of the states that limit short-term, limited duration plans to 185 days or six months. Many other states have restricted various parts of these plans beyond the restrictions of the October 2016 rule. Some states may react to the rule by banning these plans. Others could limit how many months an individual can be enrolled in a short-term limited duration plans, limit or prohibit renewability, and/or subject the these plans to certain insurance mandates. Insurers may also limit their offerings of short-term, limited duration plans. Earlier this year, for example, Maryland passed legislation, HB 1782, preempting the administration’s proposed rule. The legislation limited the term of short-term, limited duration plans to three months and prohibited renewability. This matches the October 2016 federal rule that the newly-released rule rolls back. Gov. Larry Hogan signed HB 1782 into law in April. The final drawback is that the rule will likely be threatened in Congress. As is the case with any rule, any member of Congress can introduce a disapproval resolution under the Congressional Review Act (CRA) unless there is legislative action to codify the rule. In May, Democrats from both chambers released a letter to Trump administration officials in opposition to the rule, effectively signaling a disapproval resolution under the CRA would be introduced. The CRA has been successfully used to rollback more than a dozen midnight regulations published in the waning hours of the Obama administration. The law gives Congress 60 legislative days to review a rule after a federal agency submits the rule for review. The clock on the 60 legislative days begins either when the rule is submitted to Congress or when it is published in the Federal Register, whichever day comes later. It’s important to remember that a legislative day differs from a calendar day. Overall, the short-term, limited-duration plan rule provides a measure of healthcare freedom for Americans who may not want a costly ObamaCare plan. But there are some drawbacks because the rule may increase premiums and federal spending on tax credits. States may also react to undercut the rule. But the short-term, limited-duration plan rule, even in combination with previous rules like association health plans, is not a panacea for the problems in the individual market or a substitute for repeal of ObamaCare. In fact, makes further action toward ObamaCare repeal imperative in order to eliminate the temptation of a costly bailout. Although this rule provides a measure of healthcare freedom, it should not serve as a centerpiece of a half-baked health insurance reform plan. The rule is a step in the right direction, but Republicans in Congress must revisit health insurance reform to address ObamaCare’s severe failures. Sarah Anderson contributed to this post. File explorer is one of the most useful program were you will access your storage device just visit here http://fileexplorerwindows.com and get the tutorial to learn that how to find file explorer in windows 10 operating system. Welcome to FreedomWorks Foundation’s seventh regulatory review of 2019! Our Regulatory Action Center proudly updates you with our favorite tidbits from the swamp. We want to smash barriers between bureaucracy and the American people by delivering regulatory news straight to FreedomWorks activists. Check back in two weeks for the next edition. Welcome to FreedomWorks Foundation’s sixth regulatory review of 2019! Our Regulatory Action Center proudly updates you with our favorite tidbits from the swamp. We want to smash barriers between bureaucracy and the American people by delivering regulatory news straight to FreedomWorks activists. Check back in two weeks for the next edition. On behalf of our activist community, I urge you to contact your senators and urge them to vote NO on S.J.Res. 64, the disapproval resolution under the Congressional Review Act (CRA) to nullify the Department of the Treasury’s policy to end the collection of donor information to certain 501(c) nonprofit organizations. S.J.Res. 64 would weaken free speech protections and put donor privacy at risk.